Susannah Cahalan (Moretz) is a young reporter working at the New York Post. Life for Susannah is good: she’s working at her dream job, she still has the love of her divorced parents, Tom (Armitage) and Rhona (Moss), and she’s in a relationship with budding musician Stephen (Mann). At the Post, her boss, Richard (Perry), is encouraging and acknowledges her good work, while one of her colleagues, Margo (Slate), has become a firm friend. But one day, while celebrating her birthday with her parents, their respective new partners, and Stephen, Susannah experiences a dissociative moment where she’s unable to focus on what’s being said or whether she should be responding. The moment passes without anyone noticing, and Susannah forgets about it, thinking it’s just a one-off. But it happens again. And again. And again. Soon, Susannah is experiencing these dissociative moments five or six times a day, but she doesn’t mention them to anyone. She does mention bites on her arm that she thinks are caused by bed bugs, but when anyone else looks at her arm, they don’t see anything there. One night, while she’s with Stephen, Susannah has a fit, but while he gets her to hospital, the tests they carry out don’t reveal anything wrong. She sees a doctor (Gale) who has further tests carried out, but when they come back normal as well, his diagnosis is that Susannah is drinking too much and her symptoms are those of alcohol withdrawal. Tom and Rhona aren’t impressed by this, and they take turns in looking after Susannah at their respective homes. But Susannah’s beahviour worsens and she becomes paranoid and delusional. Another fit ensures a longer stay in hospital, where her condition worsens. As she edges into a semi-catatonic state, the hospital staff admit they have no idea what’s causing Susannah’s illness. It’s only the last-minute attendance of physician Dr Najjar (Negahban) that offers Susannah a chance at regaining her life, and finding a solution – and a cure – to the illness that’s crippling her. The disease that was eventually diagnosed as causing the dissociative moments, the hallucinations, the manic outbursts, the paranoia and the semi-catatonia, was anti-NMDA receptor encephalitis. It was also a disease that had only been identified a mere three years before Susannah Cahalan was diagnosed as having it. 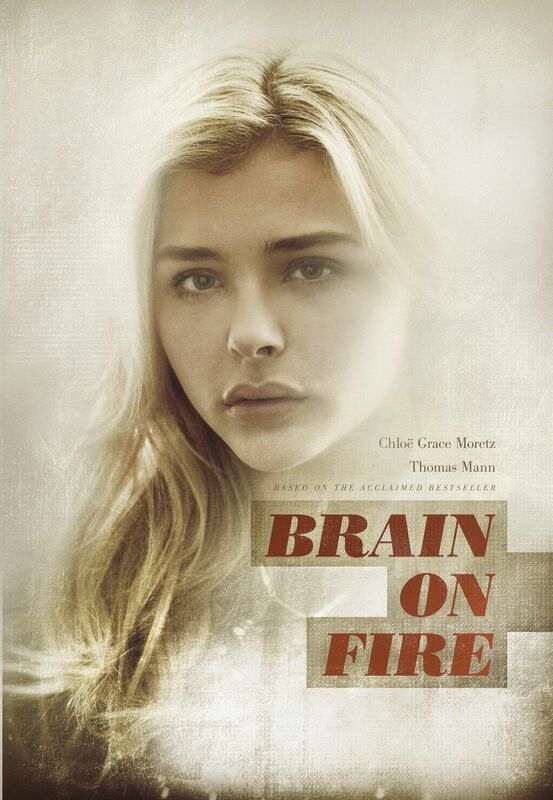 Her subsequent memoir, Brain on Fire: My Month of Madness (2012), told her story from the viewpoint of when she woke up after having been in hospital after a month and couldn’t remember anything that she’d done, or had happened, during that period. Gerard Barrett’s adaptation of Cahalan’s book eschews that approach for a more linear, traditional way of presenting her story. It’s not an entirely surprising direction for the movie to take, but it does mean that many of the standard tropes associated with good old-fashioned disease-of-the-week TV movies are all present and correct. It also means that the viewer has to contend with an ill-advised and unalterably trite opening voice over that has Susannah forewarn them that something is going to go terribly, terribly wrong (as if we couldn’t have already worked that one out for ourselves), and a succession of scenes that reinforce the idea that Susannah is leading a wonderful life. But when Susannah begins “zoning out” she doesn’t say anything to anyone, and attempts to carry on as if her “zoning out” is a minor inconvenience. But then the disease pulls the rug out from under her: an assignment that she believes she’s written on a Thursday for inclusion in the Post on Saturday, is rubbished by her boss on the ensuing Monday – the day he’s received it. Watching Brain on Fire, this is the point at which many viewers will be saying to themselves, Why doesn’t she say anything? Sure, she goes to the doctor but when that proves inconclusive of anything and her illness begins to worsen, her behaviour is written off as either an alcohol problem or potentially psychiatric in nature. That the various medical professionals who examine Susannah fail to diagnose her condition properly, makes for another staple of this kind of movie, but while it’s a familiar presentation, what makes it particularly invidious on this occasion is a caveat that the movie avoids providing. Anti-NMDA receptor encephalitis was only identified three years before Susannah was affected by it, and the number of patients who had been diagnosed up until then was relatively small. This allows for Dr Najjar’s actions to appear almost miraculous in relation to the rapid decline that Susannah experiences (in her book if not in the movie; here her illness and its development is allowed to take place over what seems far longer than a month). Again, this is tried and tested stuff, as predictable as it is anodyne, and Barrett makes sure the audience knows just how terrible it all is by having Moretz looking spaced out and/or wasted at every opportunity. The characters around Susannah are mostly stereotypical, with Stephen’s initial self-absorption giving way to his staying resolutely at her bedside, while Tom agonises over her situation at every turn and Rhona acts calmly yet decisively and keeps it all together. Her doctors are either blasé or baffled, Margo is the concerned friend who makes just the one visit to her in the hospital, and her boss, Richard, behaves in a manner that stretches credulity as when Susannah botches an important interview and he doesn’t fire her. Throughout all this, these characters remain cyphers, given just enough to do to avoid being bystanders to it all, but at the same time, not having any depth that would prompt a connection with the audience. Barrett’s script lacks the edge or the energy to make Susannah’s story compelling enough for more than a cursory investment by the viewer, and there are several stretches – mostly where Susannah wanders the streets of New York in an apparent daze – where the editing needed to be more judicious. As a director, Barrett doesn’t seem to know how to build on the story to make it more affecting and effective, and there are times when the movie’s pace founders and becomes less measured than at other times. All in all, the movie fails to engage properly with its audience, and though it’s a valiant attempt by Barrett et al to tell a fascinating story, there’s not enough attention to detail, and not enough in place to make this stand out from the crowd. 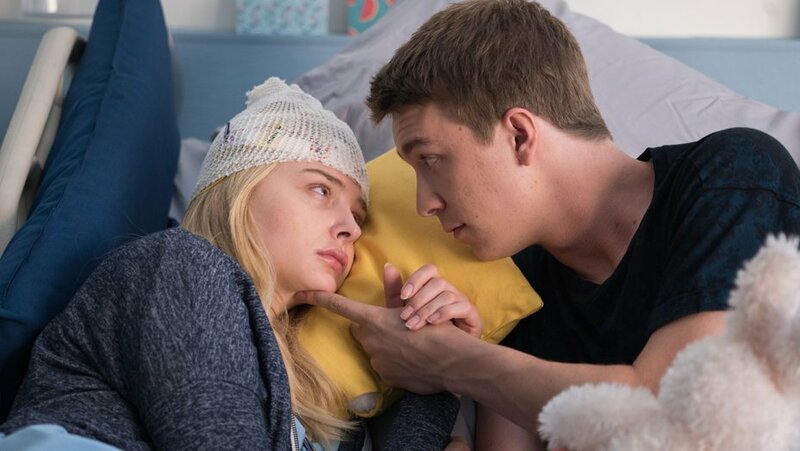 Rating: 5/10 – with its less than gripping plot and inconsistent narrative, Brain on Fire is persistent in its efforts to bring its audience on board, though its under-developed script makes it hard to pull that off; Moretz’s strained performance, the movie’s pedestrian tone, and its preponderance of fugue moments, all serve to make this a potentially intriguing movie that never quite makes the most of its incredible real life story.